I collected the branches that had been scattered on the ground in a vase. But it did not match the vase and I switched it to another vase. The next day I picked up another branch and put it in the vase. The vase I used yesterday is better suited . It was made from the idea of putting on a vase to match the flowers as well as clothes suitable for people. Like the colors of various flowers, there is a myriad of varieties in our emotions. On a lonely day, the branches will be in it . On a day full with fortune, four leaf clovers will be in it. 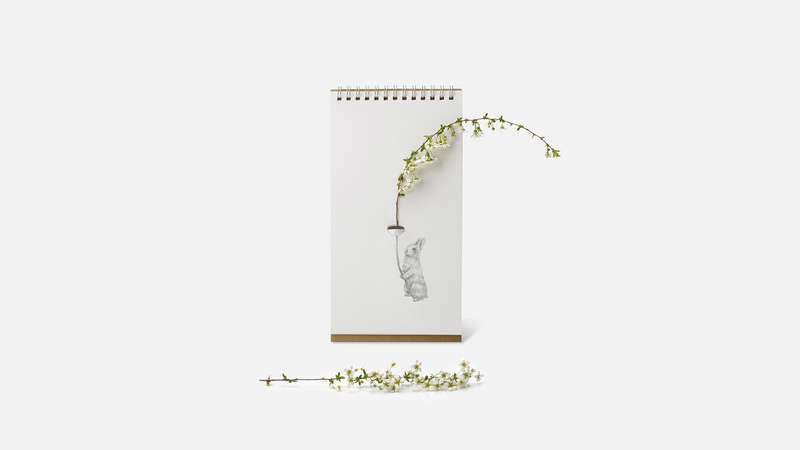 Flip vase is a vase of paper in which you can put and show your emotions that are changing everyday, with seven vases that can be dressed in flowers matching the mood of the day. 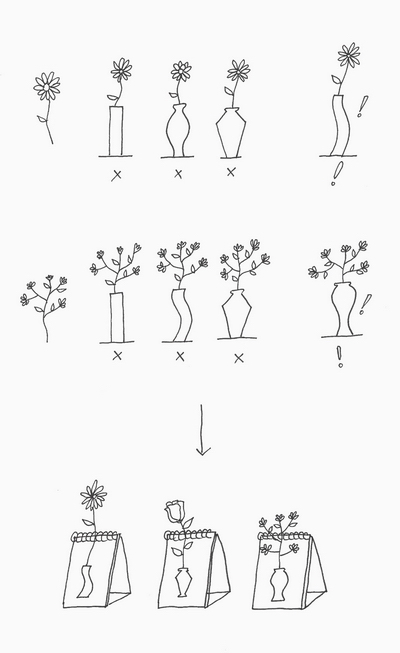 Now put your mood into Flip vase.